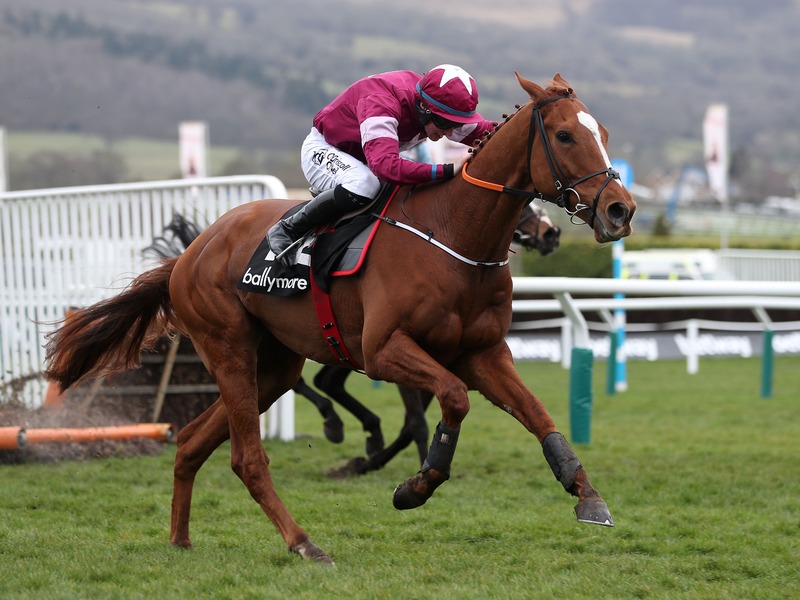 Samcro is set to make his seasonal debut at Down Royal early next month. The exciting prospect has a couple of options which trainer Gordon Elliott will discuss with owners, Gigginstown House Stud. All eyes will be on the six-year-old, who lost his unbeaten record in dramatic fashion when falling at the third-last flight in the Punchestown Champion Hurdle in April. The big question is whether the brilliant winner of the Ballymore Novices’ Hurdle at Cheltenham will remain over the smaller obstacles or whether he will go over fences. “He’s in good form and he’ll be entered in both races up the north,” Elliott told At The Races. “Eddie (O’Leary, racing manager) is at the sales in Newmarket and he’ll be back at the weekend. “We’ll have a chat during the week and see what happens, but I’m looking forward to getting him out. Shane McCann who rides him out every day is very happy with him. “He’ll do a bit of work on Friday morning and maybe a bit early next week and that will be it before Down Royal. Elliott reports another of his stable stars, Apple's Jade, to be in good form with all roads leading to the Cheltenham Festival for either the OLBG Mares’ Hurdle, which she won in 2017, or the Stayers’ Hurdle. “She’s flying at the moment. We’ve changed a few things with her this year,” said the County Meath handler. “She’s in great form, but she doesn’t have to improve a whole lot to be the real Apple’s Jade. “She only has to find a couple of lengths. That’s all she was getting beat in Cheltenham and Punchestown, but she kept coming into season at the end of last season. “Hopefully we can rectify that going forward.